This March, 14,000 people from 119 countries explored a new multidimensional paradigm of aging – infused with vitality, passion and purpose, as well as continual growth and service. This unequaled opportunity was offered by The Shift Network and presented by 22 conscious aging leaders who share with you their unique wisdom and experience so that you too, can make your later years your best years! Listen to Jan Hively and Moira Allan’s interview (below) with Ron Pevny! * This interview was part of the Transforming Aging Summit a free online event featuring information and insights to help make your later years your best years. 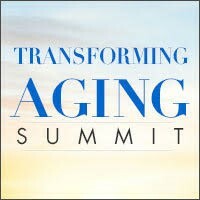 For more information, please visit the Transforming Aging Summit website. This recording is a copyright of The Shift Network. All rights reserved.